Here at Beautiful we know how important skin care is, that’s why we are a fully trained Guinot and CACI skincare studio. We take regular skin care to the next level, its not just about applying a serum but providing a a full treatment which has a lasting positive effect on your natural complexion. Please read through our range of Guinot and Caci skincare treatments below or chat to one of our friendly team over the phone. Guinot is one of the best known brands in the beauty industry and we are very proud to stock a range of their treatments. From the flagship treatment, Hydradermie right through to the age defying Age Summum, there is a Guinot treatment to suit your complexion and skin type. 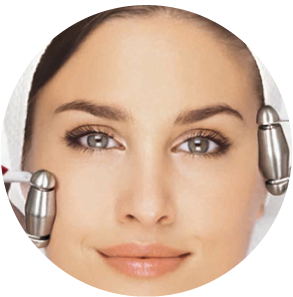 During a Guinot treatment our therapists will provide a consultation, making sure you receive the perfect treatment. 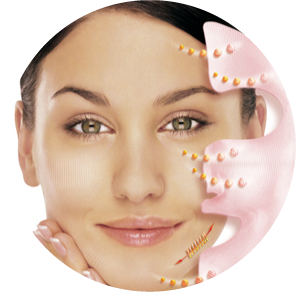 The Hydradermie treatment is the star of beauty treatments. It is a unique innovation that is completely tailored to your specific skin needs. Active ingredients rapidly penetrate the skin allowing for deep moisturisation and brightening. 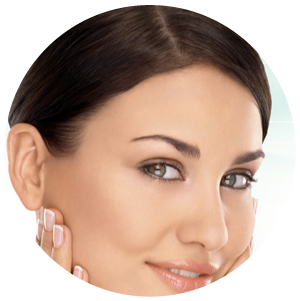 Your skin will look more youthful and radiant from the very first treatment! This treatment brings revolutionary youthfulness and renewed skin tone by stimulating the facial muscles using the new Hydraderm Cellular Energy machine. In the same way that body muscles are sculpted in the gym, this treatment adds a spectacular lift effect to your face without the injections! This treatment includes a relaxing massage and tailored mask for a real pampering treat. A combination of the Hydradermie and the the Hydradermine Lift treatment, this is the ultimate lifting, anti-ageing and prescriptive treatment to get the skin looking its absolute best. Perfect for special occasions or for a real pamper. This is the perfect lifting treatment for those on the go. Using the same technology as the Hydradermie Lift treatment, the Lift Express gets you lifted and toned in just 30 minutes! 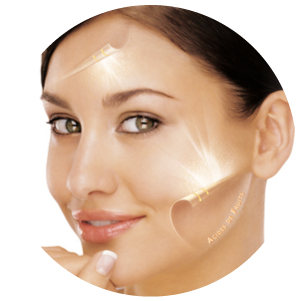 The Lift Summum is the newest of our Guinot facials. It’s an exclusive global firming treatment that immediately reduces the signs of fatigue and ageing, focusing on the face, neck and decollete. The unique stimulating massage visibly lifts and firms while the active ingredients Collagen XVIII helps improve elasticity. The Anti-Wrinkle Eraser diminishes the appearance of wrinkles, whilst the unique specific face and decollete masks restore a youthful appearance. Beautiful skin is well cleansed skin. The Hydraclean treatment uses a Thermoclean heated electrode to diffuse gentle heat ridding the skin of the excess sebum and toxins. It is an exclusive, patented Guinot system to enable the skin to breathe and become more receptive to the skin care products applied afterwards. This manual treatment is clinically proven to decrease wrinkle depth and increase the skin’s elasticity for impressive results. Incorporating pure vitamin C and active pro collagen, it is the ideal treatment for those concerned with signs of ageing as it regenerates, firms and restores the skin’s radiance. 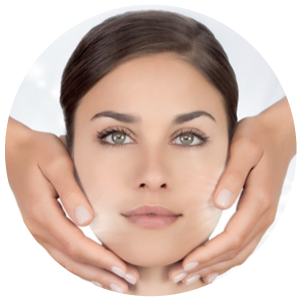 CACI award-winning non-surgical facelifts and body treatments deliver visible and corrective results without the need for surgery.Booking a CACI treatment with Beautiful is the best way to leave your complexion rejuvenated and glowing. Our trained therapists will advise you on the best CACI treatment to match your skin type and provide you with a perfect treatment to leave you feeling refreshed. The CACI Jowl Lift has been developed to specifically target muscle laxity around the jawline which can cause drooping jowls and loose skin. This treatment is specially designed to lift and firm the muscles and refine contours to give a firmer, more toned appearance. 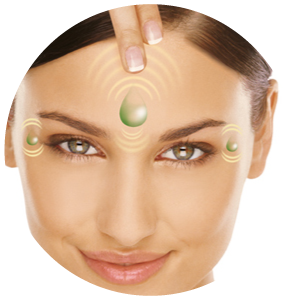 The new CACI Eye Revive treatment uses microcurrent to gently tighten and tone sagging muscles around the eye area whilst reducing the appearance of fine lines and wrinkles. The treatment uses serum filled eye rollers to infuse CACI Eye Revive Serum deep into the skin which contains REFU®️-Age to reduce puffiness and dark circles. The deeply moisturising Hydro Eye Mask is then applied to soothe the skin and reduce fine lines and wrinkles. CACI’s Signature Non-Surgical Facial Toning is an advanced, non-invasive facial with twenty years of medical research behind it. Microcurrent impulses will lift and tone the facial muscles and neck area whilst improving skins elasticity and reducing the appearance of fine lines and wrinkles. This gives a more youthful appearance and glow. CACI Deluxe Non-Surgical Facial Toning is perfect for clients who want a more intense version of the Signature CACI facial treatment. It adds an extra 15 minutes to concentrate on areas of muscle laxity. It’s aimed at mature skin types and those with specific concerns. The CACI Eye Lift will work to lift and firm the muscles around the eye area – particularly where people tend to lose definition as they age, known as ‘hooded eyes’. This treatment will also help smooth the appearance of fine lines and wrinkles. The Electro-Cellulite Massager treatment gives instant lifting and contouring on the buttocks and toning the thighs. This treatment will improve the appearance of cellulite and break down fatty deposits. It stimulates circulation and lymphatic drainage, which will help to flush toxins away giving a smoother and tighter dimple free complexion. Great as a pre-holiday body blitz! This treatment targets deep lines and wrinkles such as crow feet or laughter lines with the CACI Wrinkle Comb. This treatment is a non-invasive, needle free alternative to collagen injections and dermal fillers that will instantly pump fine lines and wrinkles from the very first treatment. The CACI hand treatment minimises age spots and intensively moisturises leaving your hands hydrated and supple for a youthful appearance. Get those lips looking juicy and luscious. CACI’s award winning Amino lift peptide complex is combined with the wrinkle comb and red light therapy in instantly plump the lips and soften lines, typically associated with smoking, giving the perfect party pout. A microcurrent facial encorporating skin hydration and nourishment for the ultimate face lift! Get in touch with one of our friendly beauticians to arrange your next beauty treatment.